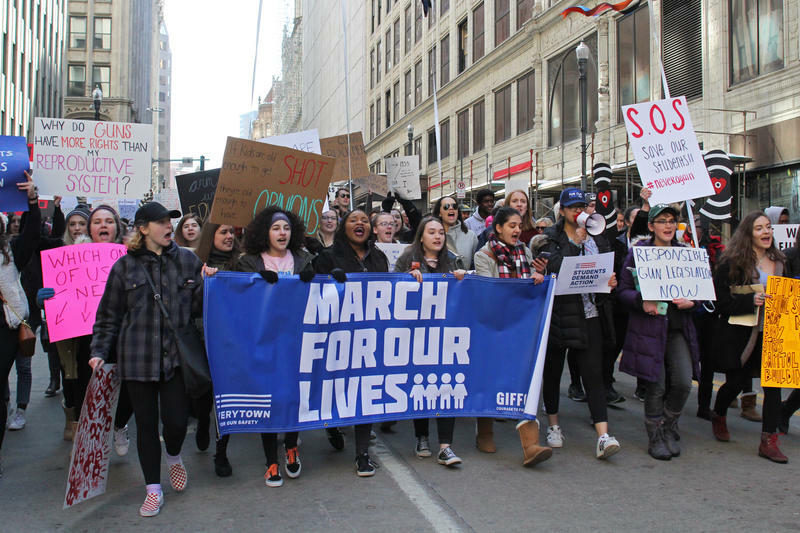 Young people led a crowd of thousands down Fifth Avenue in Downtown Pittsburgh Saturday in the March For Our Lives. 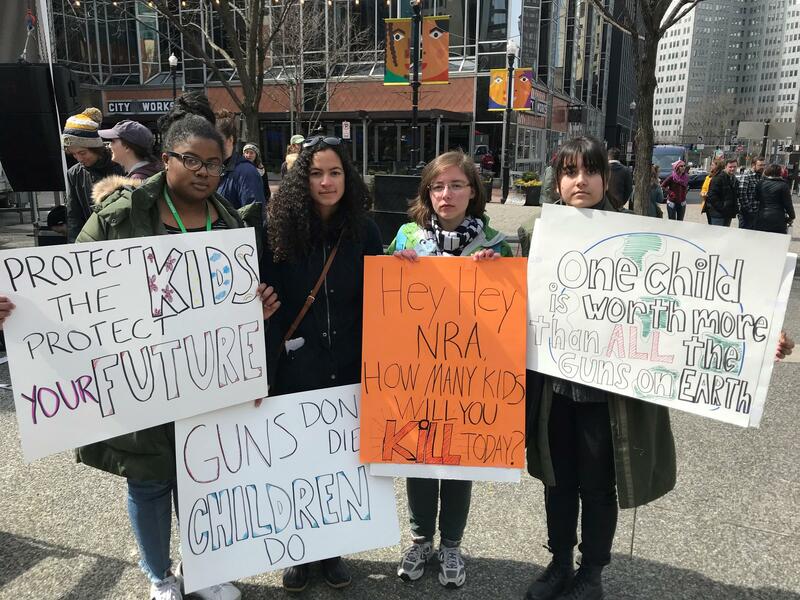 She held a sign that read “Guns don’t die, children do,” while rallying in downtown Pittsburgh Saturday. She marched from the City County Building to Market Square with thousands of others. Organizers estimated more than 30,000 people attended the march. 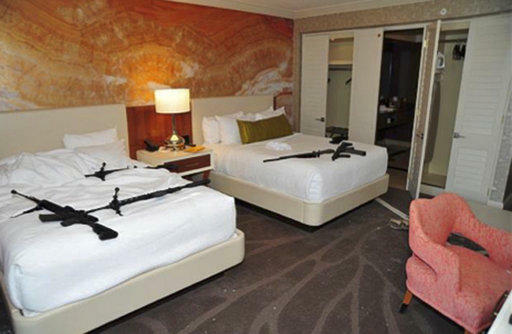 Some called for banning assault rifles, others want stricter background checks. But the theme of protecting children was loud and clear. 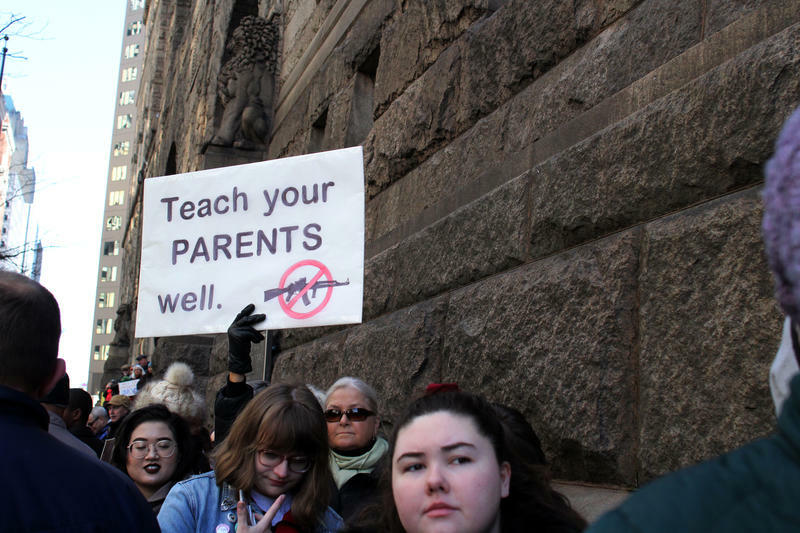 Sisters Erin and Emma Simard organized the local March For Our Lives rally to be held simultaneously with the national gathering in Washington D.C. Several busloads of Pittsburgh students and supporters also traveled to the Capitol for the march. The national protest was organized by survivors of the Feb. 14 mass shooting at Marjory Stoneman Douglas High School. Lenel Berfield, Lia Cueto, Ava Richardson and Sila Basbay at the March For Our Lives rally in Market Square. 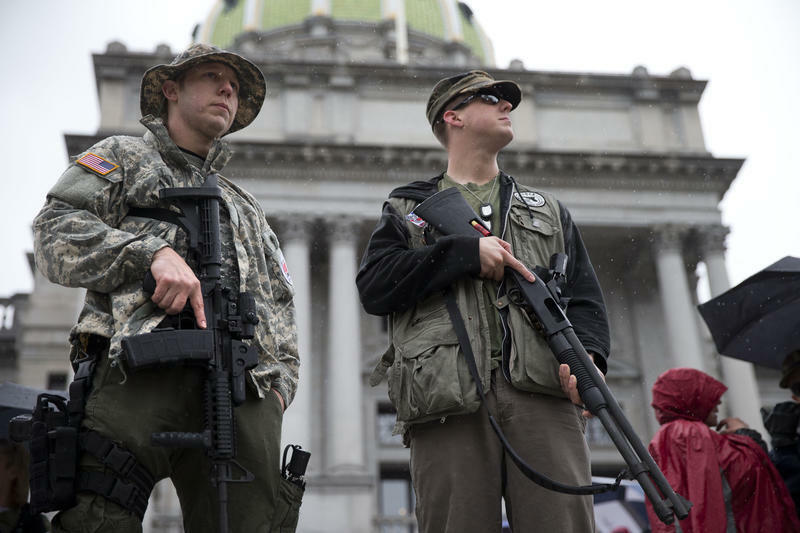 Pennsylvania Sen. Wayne Fontana noted that he owns guns, but recently introduced legislation to ban assault weapons. The bill, which would amend Title 18 of the Consolidated Statutes to say, “no person shall possess, manufacture, import, sell or transfer an assault weapon or large capacity magazine,” was referred to the judiciary committee March 22. “It’s been introduced, but the problem is the majority party in Harrisburg will not run that bill. That’s why it’s so important for all of you to register to vote and vote for candidates that are for gun reform,” he said. Volunteers were also at the Market Square rally registering people to vote. State Rep. Ed Gainey implored young people to vote. He encouraged them to continue fighting for what they value. “Let us not forget the lives that have been lost in urban neighborhoods throughout the United States of America. Let us not forget the fight of African-Americans who have been fighting for sensible gun legislation since the '80s so we can watch our kids grow up,” he said. A mother whose daughter used a gun to commit suicide and a man whose mentally ill brother killed several people at a family reunion also spoke about access to guns and universal background checks. 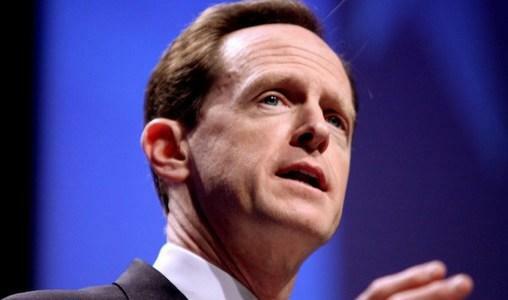 In the wake of the Florida school shooting that killed 17 people, Pennsylvania US Senator Pat Toomey was among a number of lawmakers who met with President Trump Wednesday to discuss new gun control measures. 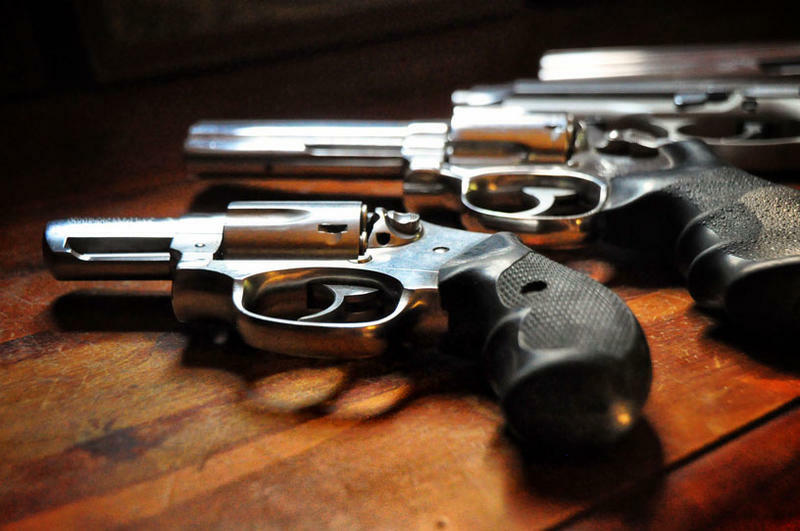 The second-term Republican's main proposal is a measure that would expand background checks for firearm purchases to include sales online and at gun shows. The bipartisan bill is cosponsored by West Virginia Democrat Joe Manchin; a version was first introduced after 2012's Sandy Hook shooting, and narrowly defeated.